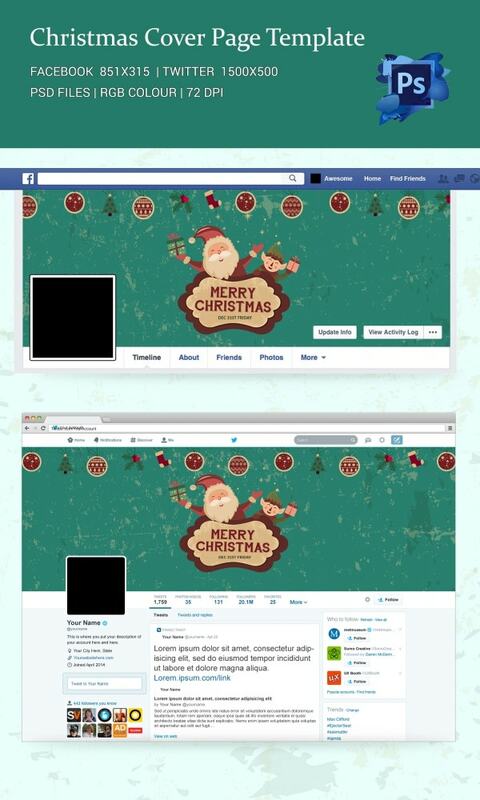 With the autumn setting prelude to the joyous holiday season ahead, you must be looking forward to changing your social media cover page in tune with the Christmas spirit. 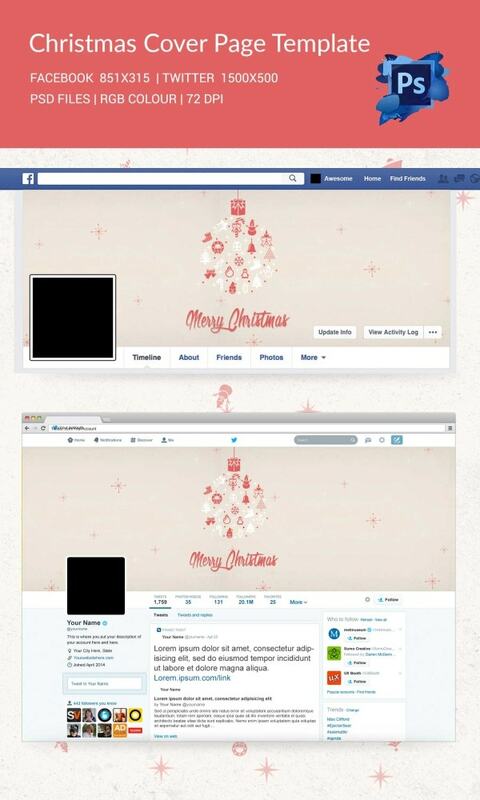 That’s great and if you are looking for ideas on how to express your Christmas spirit on the Cover Page of Facebook or Twitter- there are amazing Christmas social cover page templates online. 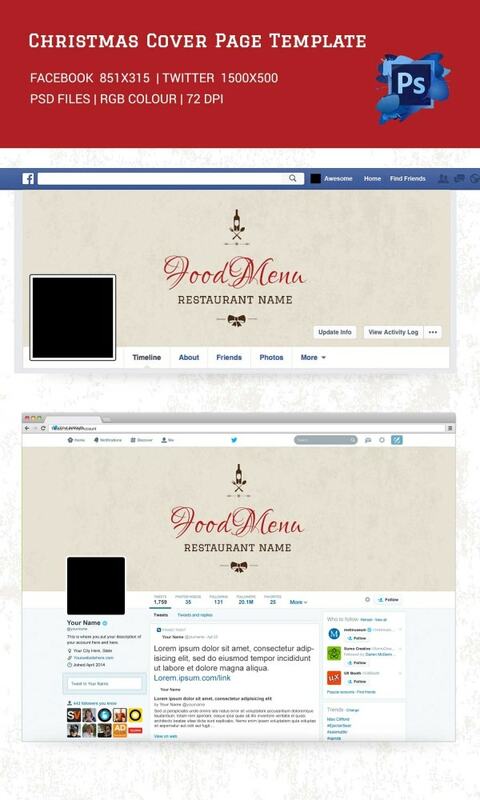 These templates can be used on both personal and business profile cover pages. With the rejoicing Santa at the center with the happy little kid and all the signature Christmas props on the top, there cannot be a better cover page for Christmas. 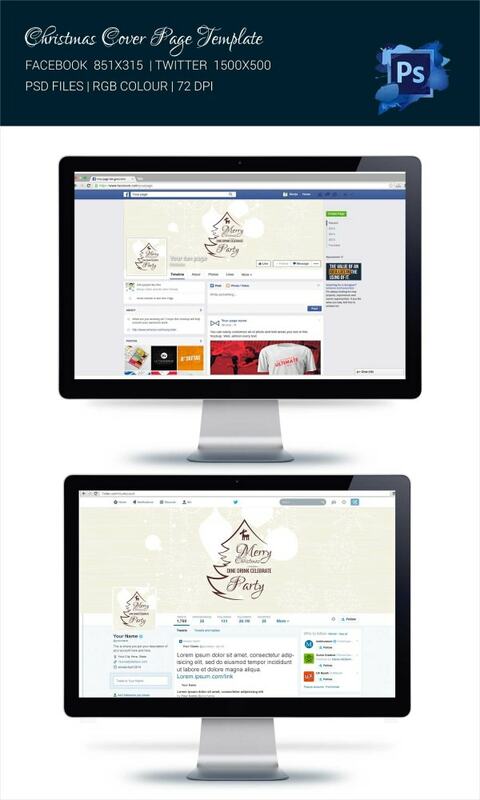 This Christmas social cover has duly entwined the spirit of a merry Christmas and the upcoming happy new year in one. The red backdrop reminds of the exciting party memories that make the holiday season even more meaningful. If you are looking for a minimalist and retro Christmas cover page template that can highlight the simple joys of the holiday season without being too extravagant, this is the Christmas cover page for you. 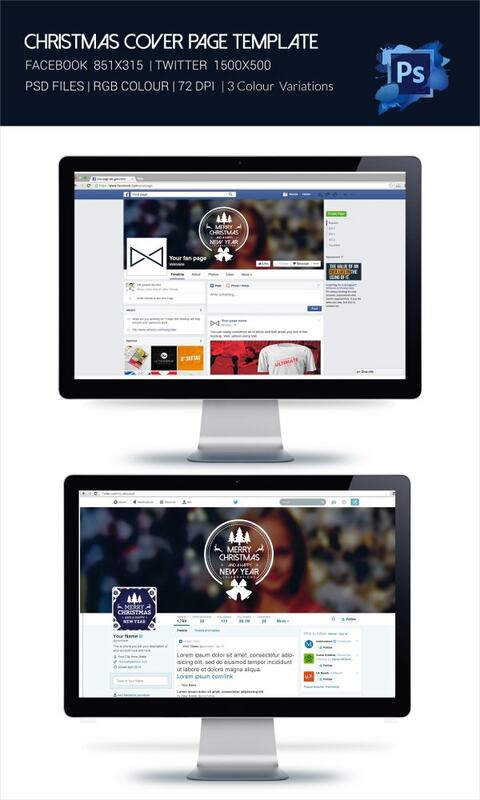 You can also see Social Media Flyers. The star of the Christmas cover page is surely the glorious wreath which is made up with all the joyous and happy elements of Christmas like the holiday present, Christmas tree, socks, reindeer and so on. You have a modern and sleek Christmas cover here which presents the joyous message of both Christmas and New Year in a neat silhouette, dotted by Christmas trees, and reindeers with bells. 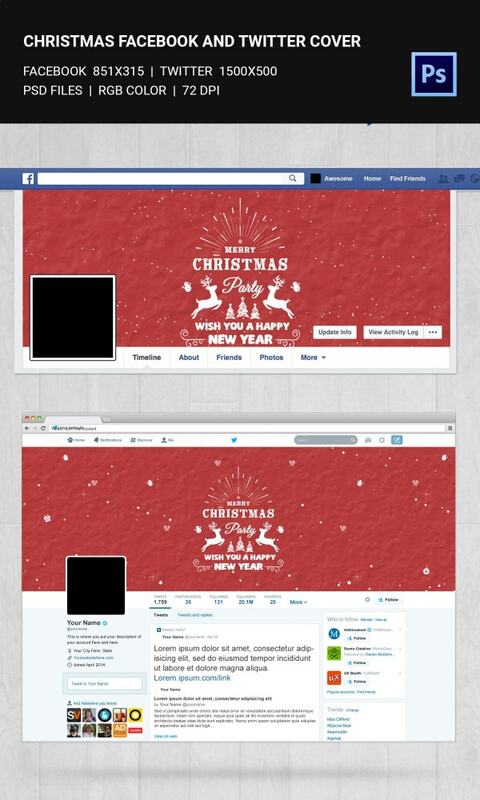 You have a simple Christmas cover page here that beautifully presents the happy message of Christmas and New Year without getting too loud. The leaves and plums are really cute and render the needed flavor. The pitch black background speaks of a gothic feel and the stars evoke the perfect stellar holiday feeling- not to forget the excited reindeer. The overall picture has got a unique classy touch to it. 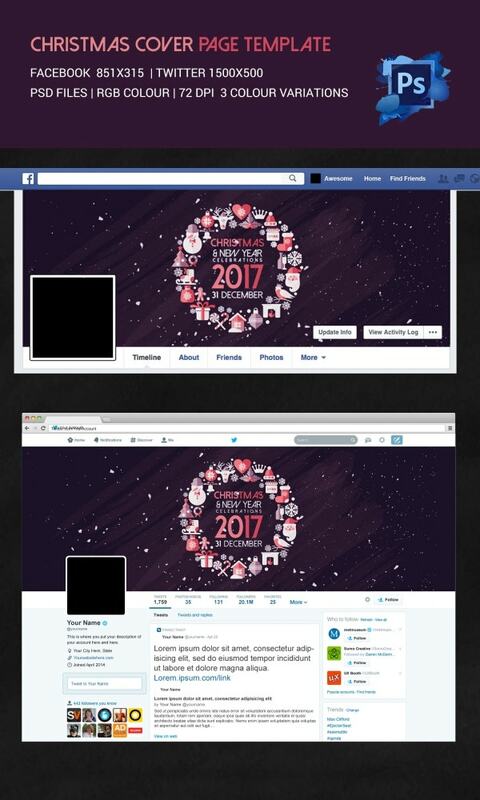 If you are looking for something sleek and elegant with your Christmas social cover page, this Christmas tree silhouette would mean the world to you. The cream and brown contrast make a classic combo. With the Christmas present hanging from the top and the beautiful collage at the center made with socks, bells, Christmas tree, snowball and other signature holiday elements, this cover page speaks of Merry Christmas from all angles. 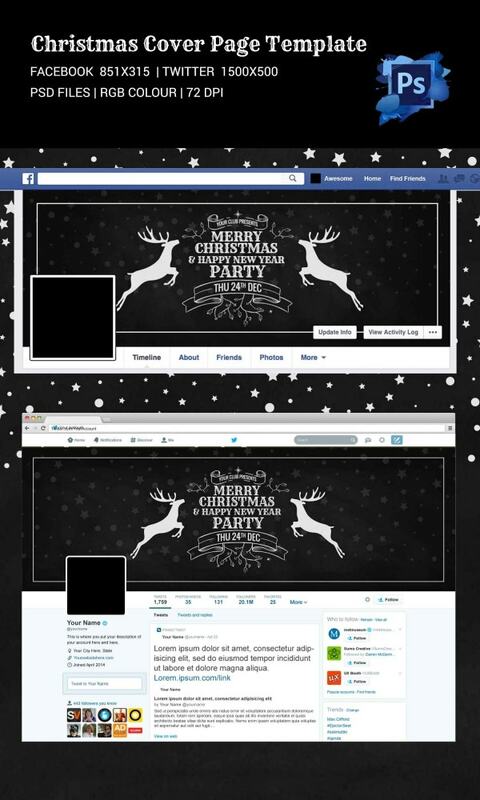 If your restaurant is planning a gala treat on the joyous occasion of Christmas, this social media cover page would be amazing for you. 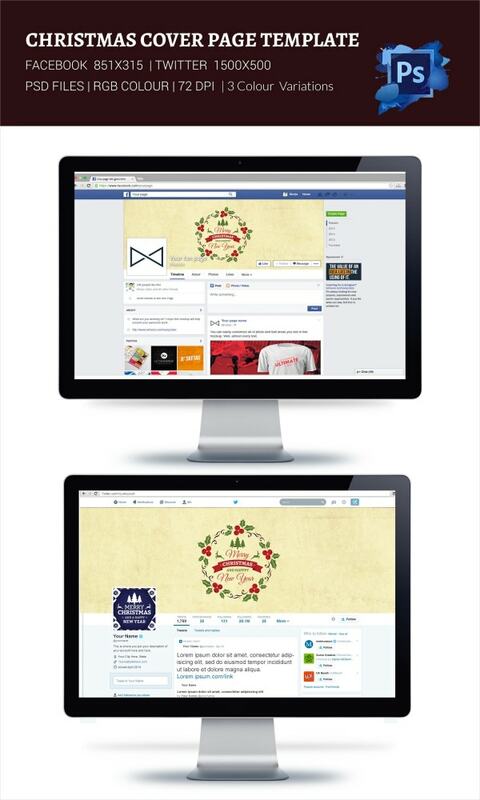 > How to use Christmas Social Cover Page Templates? 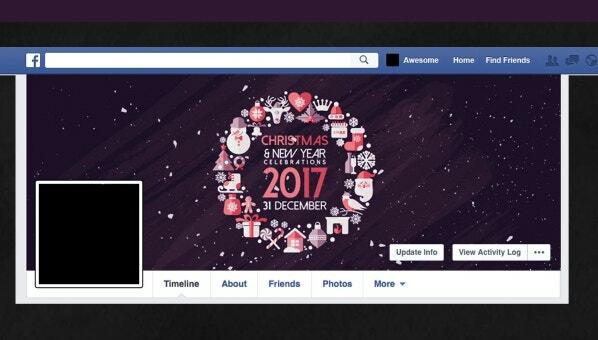 The Christmas social cover page templates would be great when you are planning to refresh your social networking cover page the upcoming holiday season. If you are planning to launch any special deal or exclusive menu for Christmas, you can use these templates to serve as a fitting background for such highlights. Some of these templates come up with the new year wishes as well along with Christmas and hence you will be able to include your New Year deals here too. Using these templates is really simple; you would simply have to download and customize them with your own data. 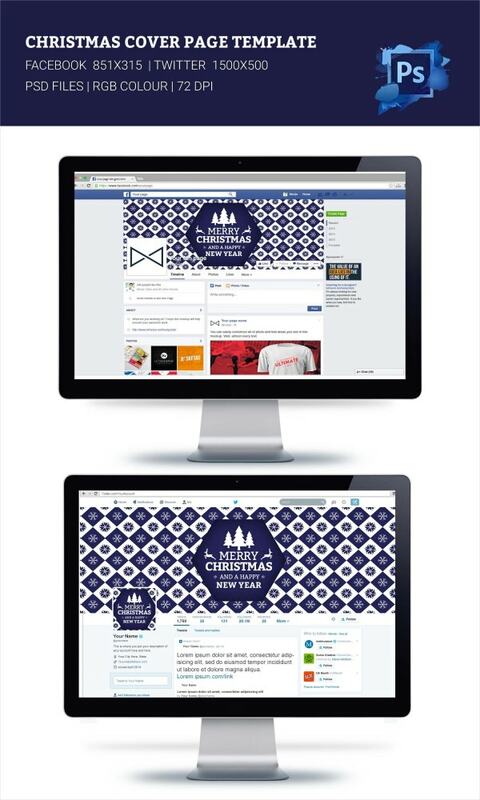 You are getting a versatile range of Christmas social cover page templates above in a wide belt of styles to choose from. Whether you are looking to manifest a gala party mood or need a minimalist backdrop without compromising on the merry Christmas spirit or something in retro Goth style, you have got everything here.